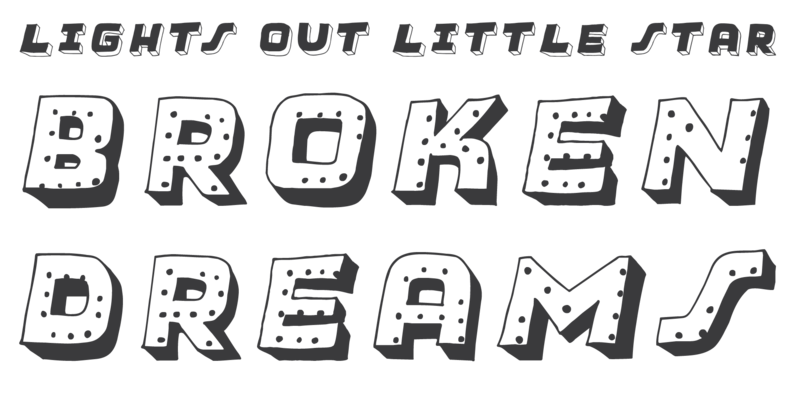 Broken Dreams - Chank Fonts! The Broken Dreams font is missing a few lightbulbs! But that’s okay, it’s supposed to be that way. This font is inspired by the Hollywood Theater marquee in Northeast Minneapolis. This is the font that was created for my appearance on TPT’s MN Original tv show. 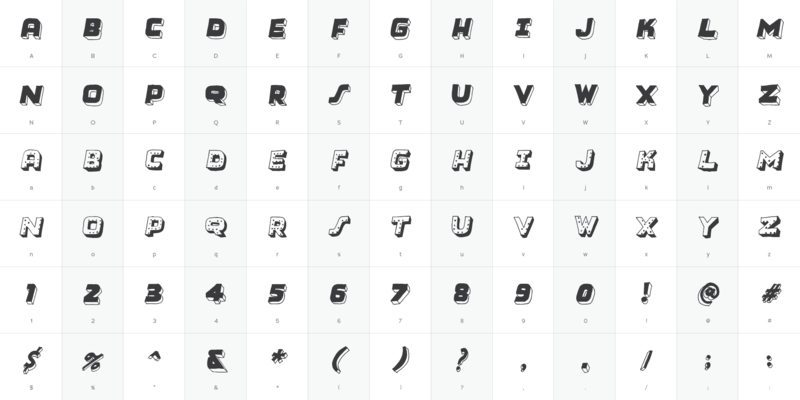 It’s an exciting font that allows for dramatic colorizing effects when you overlap the uppercase and lowercase.